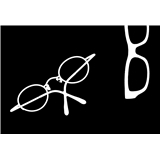 Grand Central Optical (New York) - Book Appointment Online! Grand Central Optical Company Inc. has been a family-owned business since 1923. We are a full service optical company providing the finest in ophthalmic services, eyewear, and customer service. We offer exclusive, designer, and more moderately priced frames and a full range of contact lens options. We make complex and unusual prescriptions work with today’s lighter frames and thinner lenses. Eye exams are carefully administered by our staff of NY State licensed Optometrists. An on-site laboratory houses the latest technology and an extensive inventory of lenses. Excellent quality controls ensure the highest standards and we provide quick turnaround for our customers. I love this place. So glad I found them ?? Super nice and quick exam. Dr. Declemente was professional and knowledgeable. Very professional, highly informative. I would recommend her to anyone who asked.